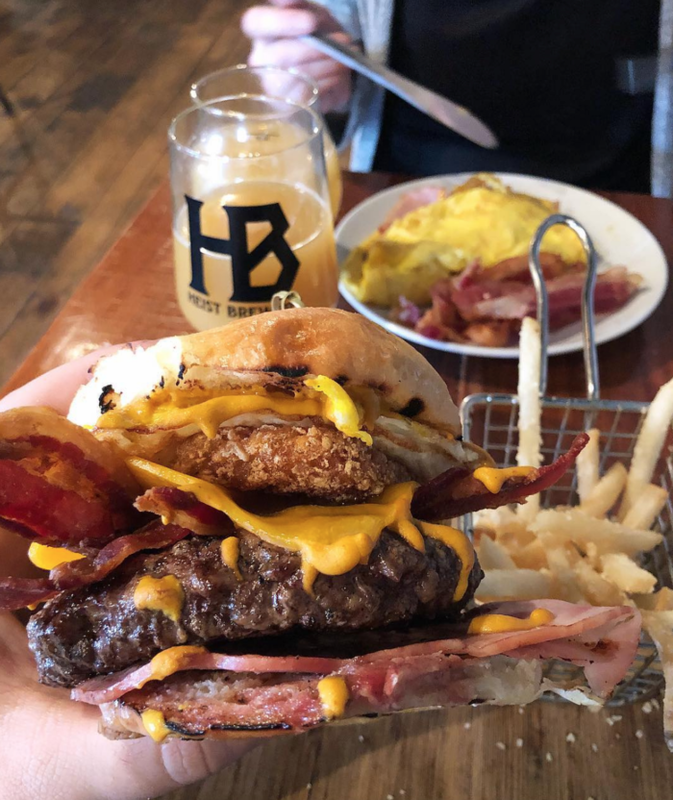 Which Charlotte breweries have the best food? 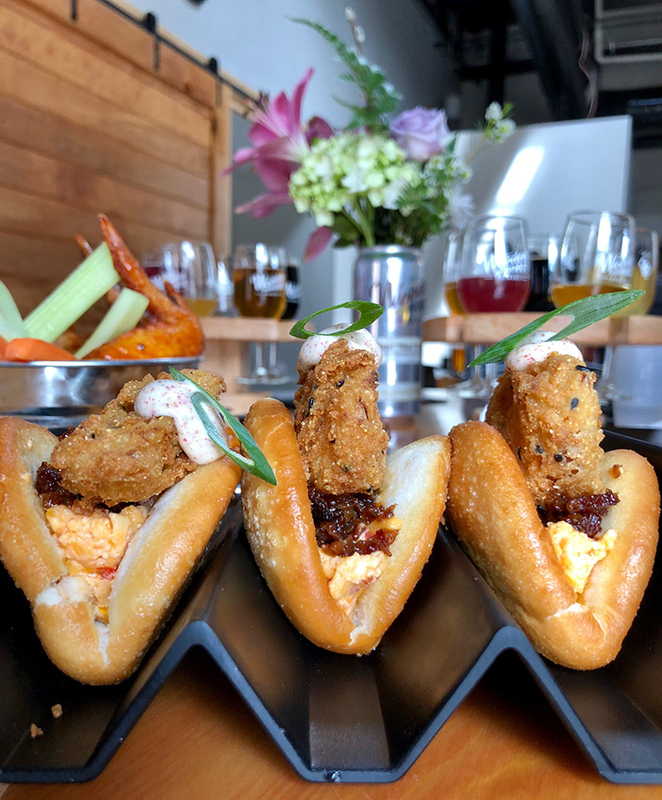 Charlotte breweries have seriously stepped up their food game since the early days of our craft beer boom when you’d be lucky to get a food truck to roll up. 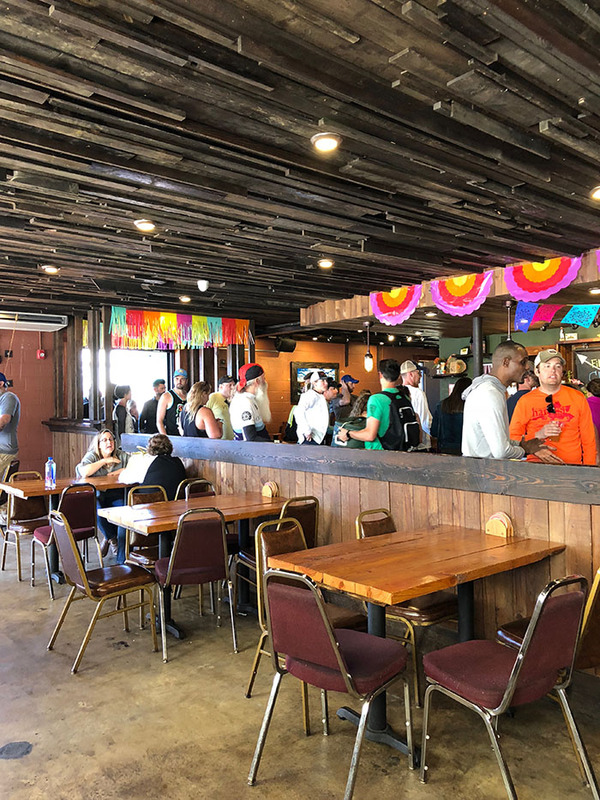 Several taprooms now have their own on-site kitchen operations cranking out restaurant-quality dishes, and those that don’t still have reliable food truck schedules. Here’s where we’d go to eat while drinking in Charlotte. 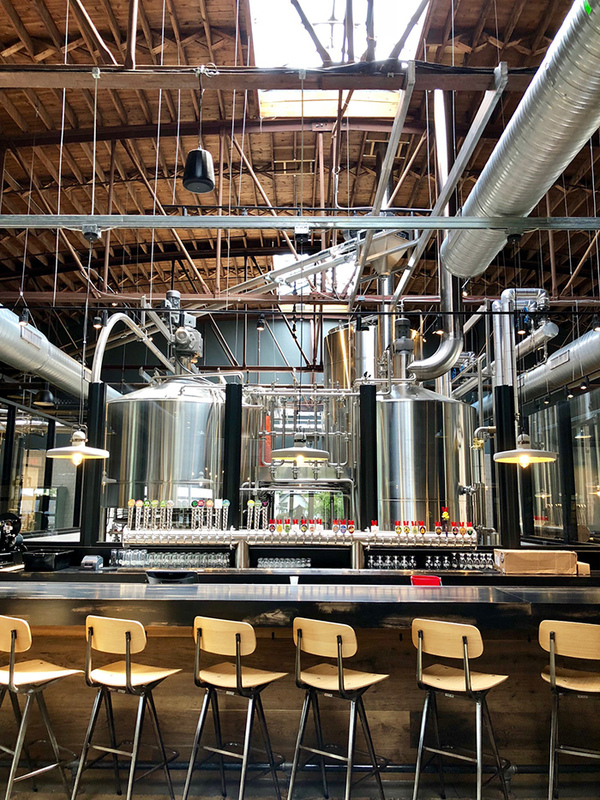 The massive new brewery in LoSo, a combination of Southern Tier Brewing and Victory Brewing Company, opened this year and features three patio spaces, a taproom and 120 taps with 40 different offerings, including the popular Pumking Imperial Ale and Golden Monkey. 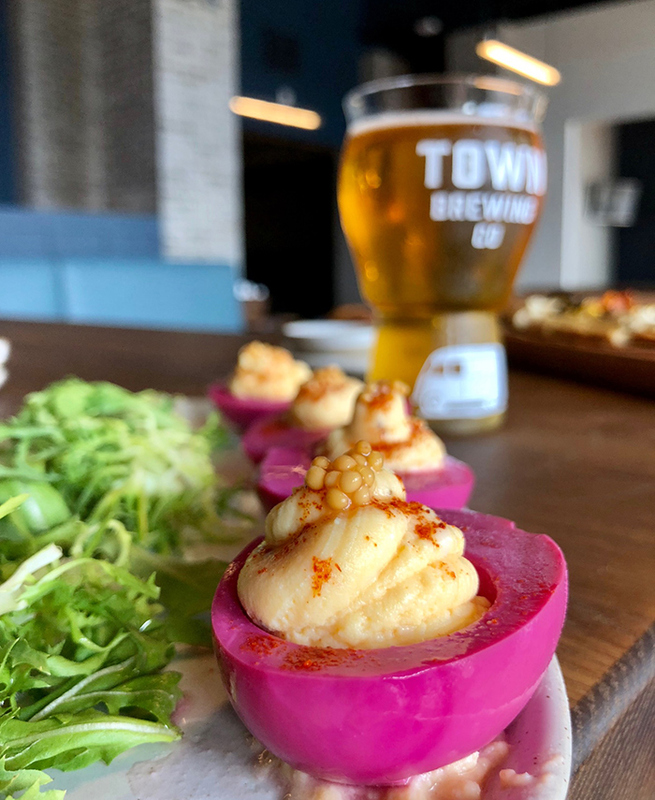 But don’t overlook the restaurant element, which features an impressive menu that screams “American Brewery,” which is exactly the vibe Chef Drew Ward, who has worked with the likes of Jim Noble and Frank Scibelli, was going for. 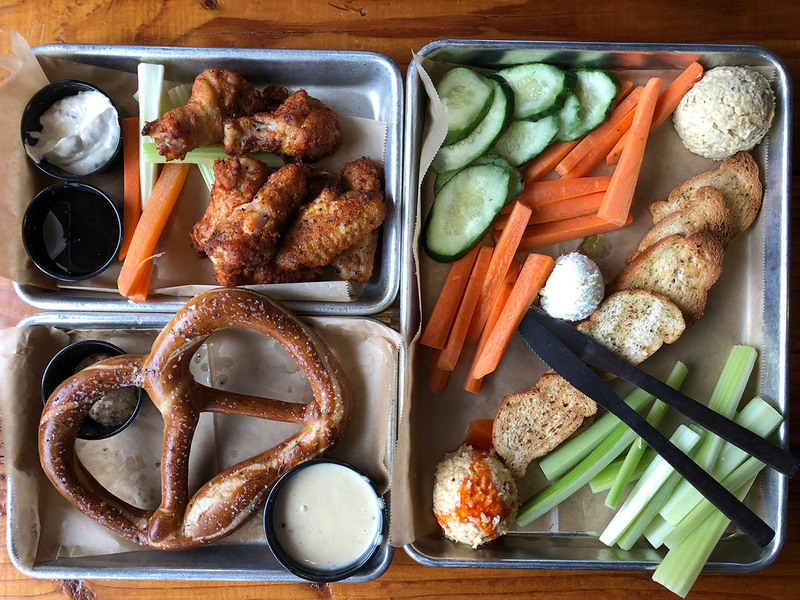 It includes shareables like smoked wings ($12) and fried green tomatoes ($10), plus entrées such as shrimp and grits ($16), smoked salmon ($17) and pizza ($12-$17). Pro tip: Parking is tight – grabbing a rideshare is easier all around. 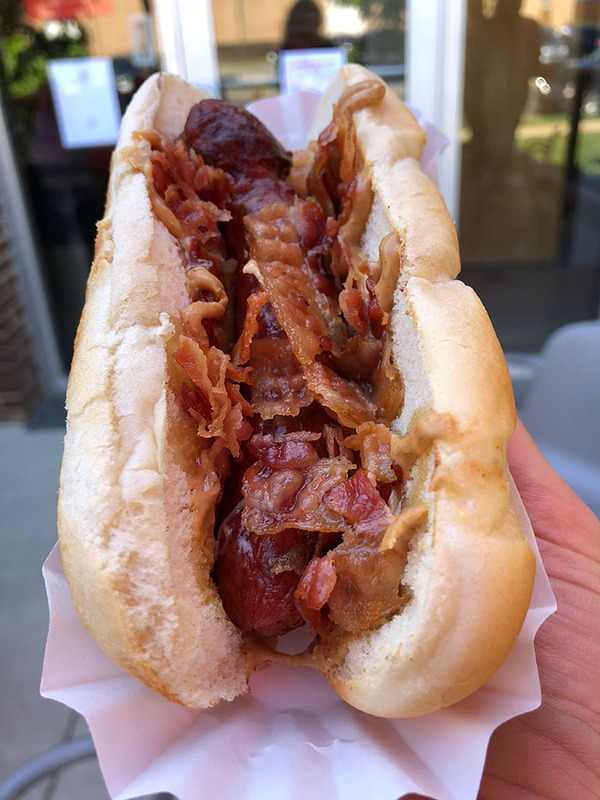 Former Heist executive chef Rob Masone branched out on his own with Kre8 Twisted Eats, a gourmet food truck that has taken up permanent residence with its own kitchen inside Wooden Robot. Look for everything from casual bar food like the cheeseburger flatbread ($12) to more formal entrees like baked gnocchi with lobster bisque and tiger shrimp ($21). Unlike some over-the-top Instagram-worthy food gimmicks, Kre8’s food delivers on visual appeal and taste. Food made with beer: So many things. 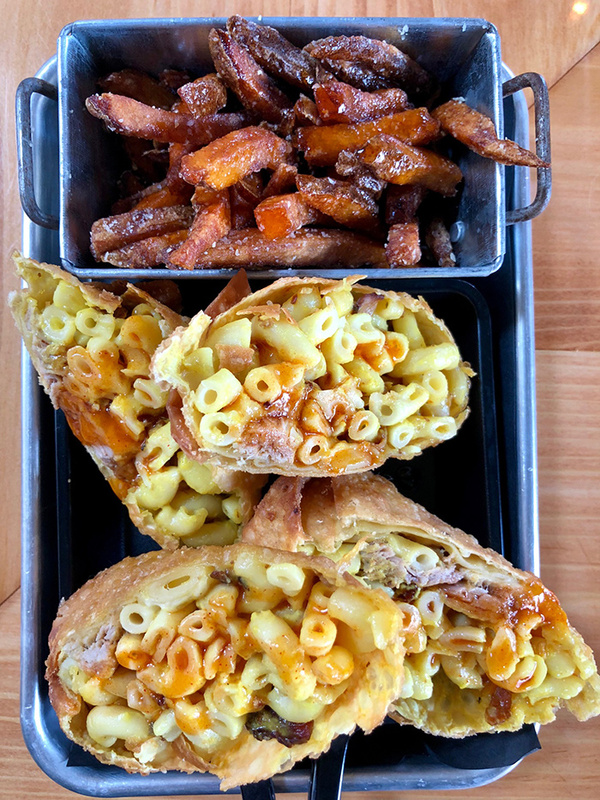 The noodles for the Bosshog mac & cheese egg roll ($12) are boiled in beer, the Kre8 Cuban ($13) features beer-braised pulled pork and spiced pale ale mustard and the Drunken Duck quesadilla ($11) is stuffed with beer-injected duck. 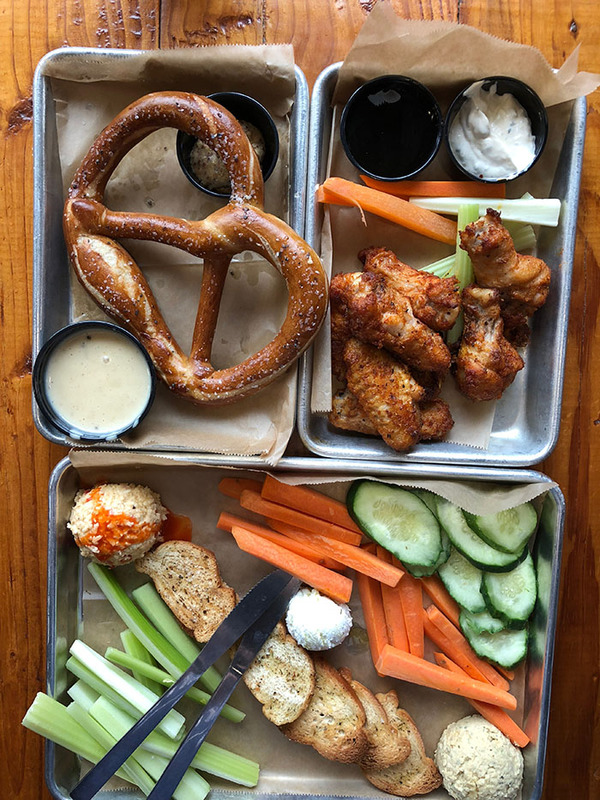 Pro tip: You can sit anywhere in the taproom and have Kre8 food delivered to your table. 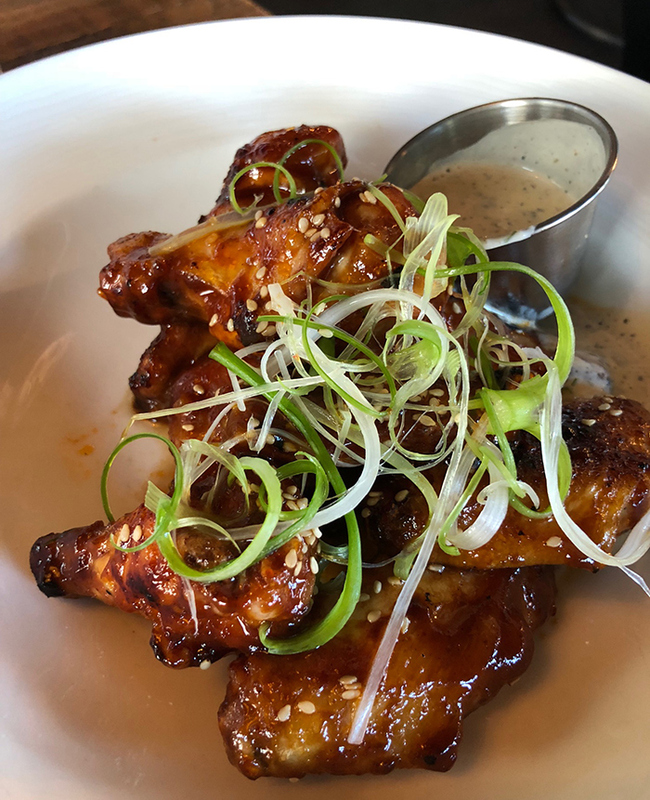 Heist is as much restaurant as it is brewery with a robust menu specializing in rustic wood-fired dishes — from bubbly hot cheese dips to flatbreads — as well as gourmet small plates like pork belly tacos and Mongolian beef. They also offer a extensive all-you-can-eat brunch on Sundays with a pizza rail and doughnut tree. Pro tip: Hit up the $19 all-you-can-eat brunch buffet and pizza rail every Sunday. It includes one a la carte entree along with everything on the buffet. 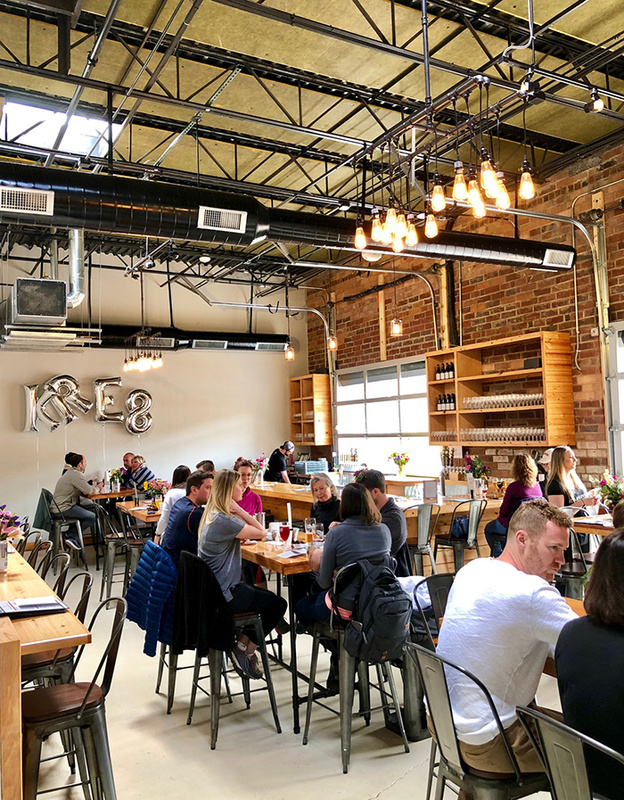 This sprawling all-in-one destination located right on the Rail Trail has a little something for everyone with an on-site brewery, coffee shop, full-service bar and culinary cafe. 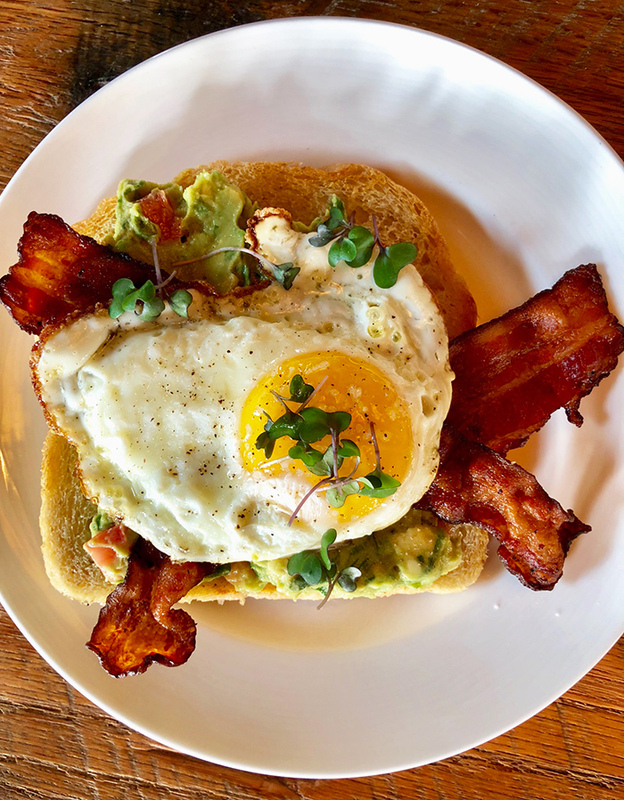 Co-owner Collin Ricks kept his daughter’s food restrictions (gluten, soy and dairy) in mind when setting the direction for a more inclusive menu. 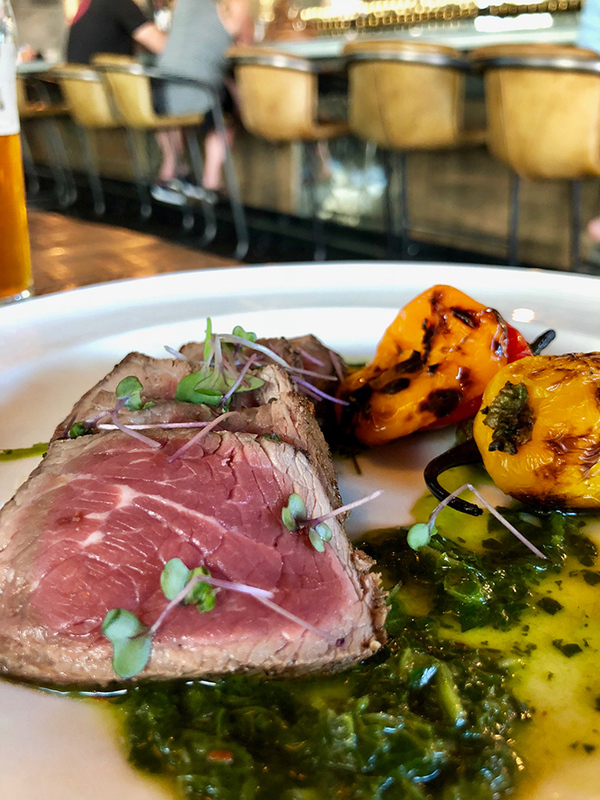 Ingredients are sourced from local producers like Harmony Ridge Farms, Joyce Farms, Snake River Farms, Middle Ground Farm, Anson Mills and Goat Lady Dairy. Pro tip: Go on Mondays for the $9 burger special (normally $15). 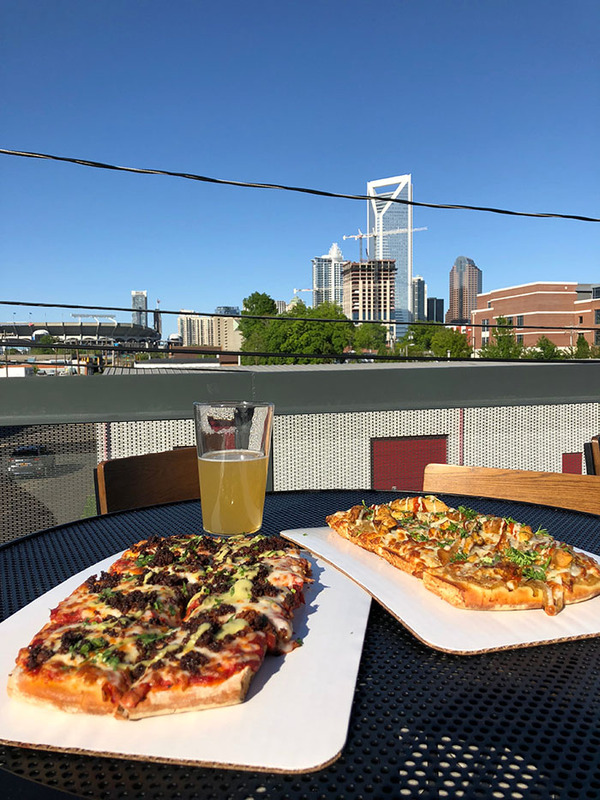 Charlotte’s original brewery pays homage to its German roots with authentic würste and schnitzel platters as well as classic American fare like burgers and pizza. 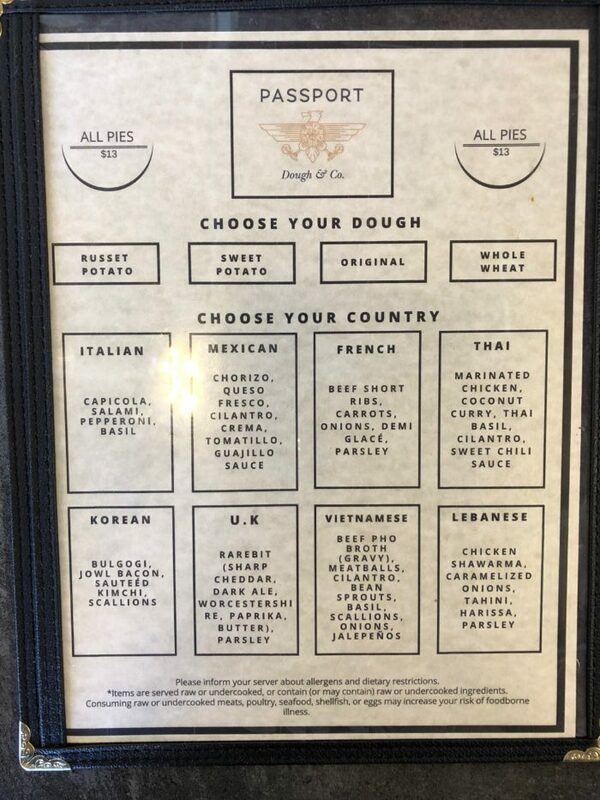 If you’re going with sausage, choose from six types served German style (on a plate with mustard, bread and a side) or American style (on a bun with 1 topping and a side). 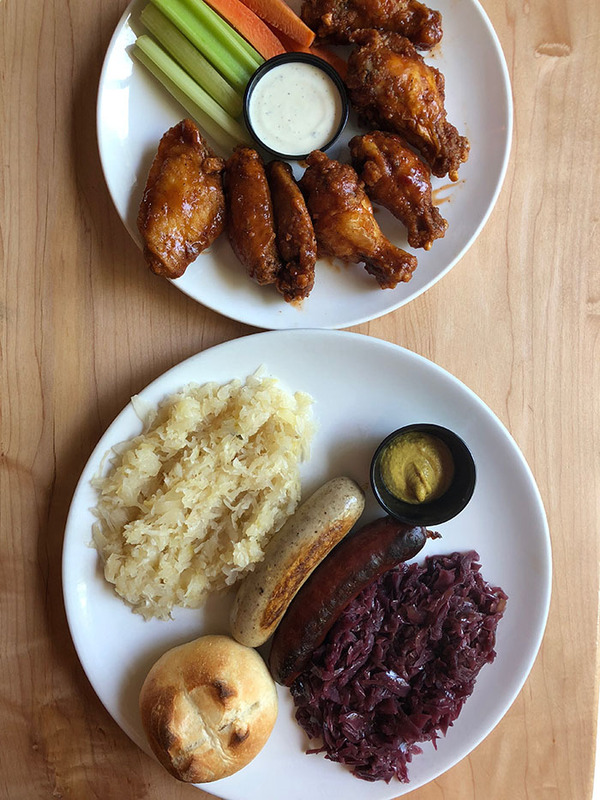 You can also mix and match sausages with the Best Wurst (3 sausages for $12) or the Teller (2 sausages and 2 sides for $12). Must try: The Teller ($12) comes with your choice of 2 sausages and 2 sides plus bread and spicy mustard. Prefer someone on the American side? The chicken avocado club ($11) is the most popular sandwich choice. 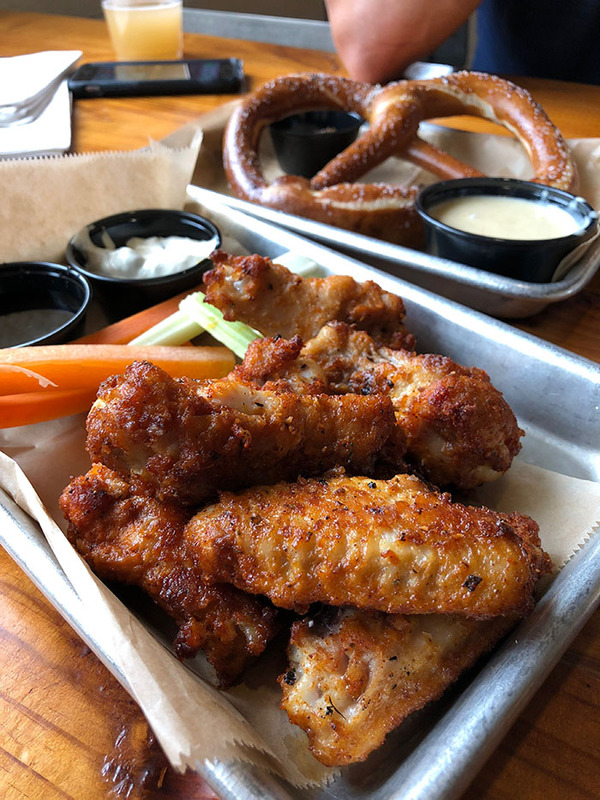 Food made with beer: Baltic Porter BBQ, a sauce option for the wings ($11) and BBQ chicken pizza ($12), is made with OMB Fat Boy, and the beer cheese served with the soft pretzel ($4) is made with OMB Copper. Pro tip: Don’t forget they open daily at 11 a.m. and are a highly underrated lunch destination — especially if you’re looking to pair your meal with a midday beer. 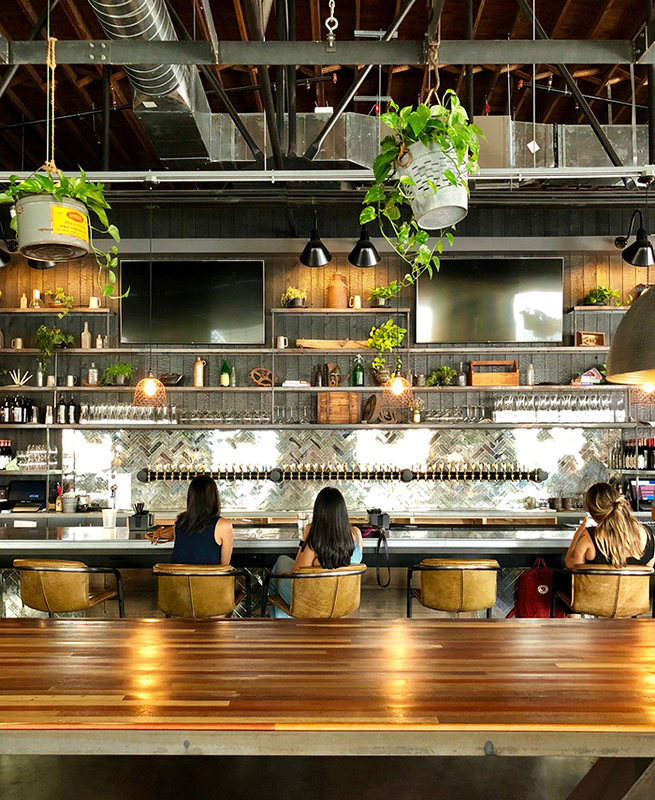 The large, German-style beer hall with rows of tables makes for plenty of seating inside or out. Bonus point: OMB is super kid friendly and even has a kids menu. Unknown Brewing / Passport Dough & Co. Unknown has partnered with Seoul Food’s Mark Sung to accommodate a permanent parking spot at the brewery for his new international-inspired pizza truck called Passport Dough & Co.
All pizzas are $13 and you start by selecting one of four crusts (russet potato, sweet potato, original or whole wheat) followed by toppings inspired by traditional cuisines from one of 8 countries, including France, Vietnam, Korea and Mexico. 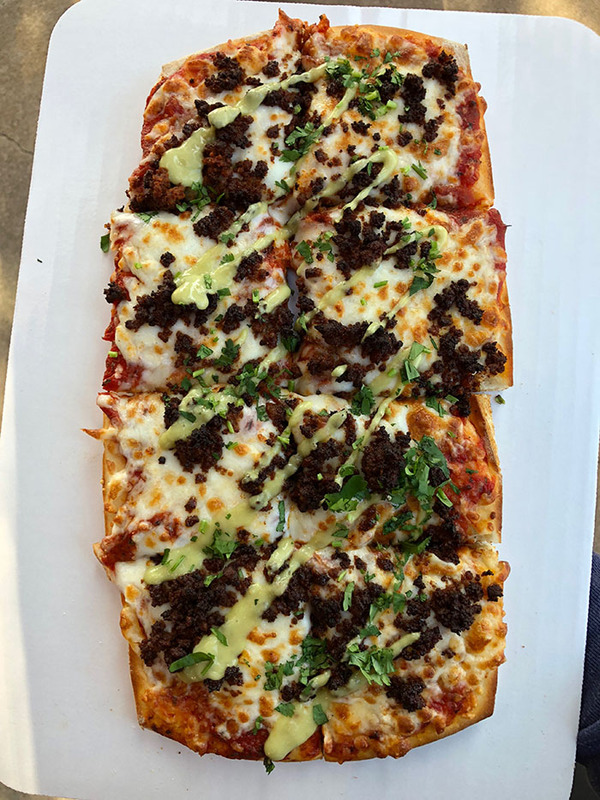 Must try: Mexican (with chorizo, queso fresco, cilantro, crema, tomatillo and guajillo sauce) and Lebanese (with chicken shawarma, caramelized onions, tahini, harissa and parsley) are the early frontrunners. Pro tip: You’ll see the truck parked on the side of the building but you actually order inside at the bar. You’ll get a number and can sit anywhere. Definitely head upstairs to the rooftop deck. 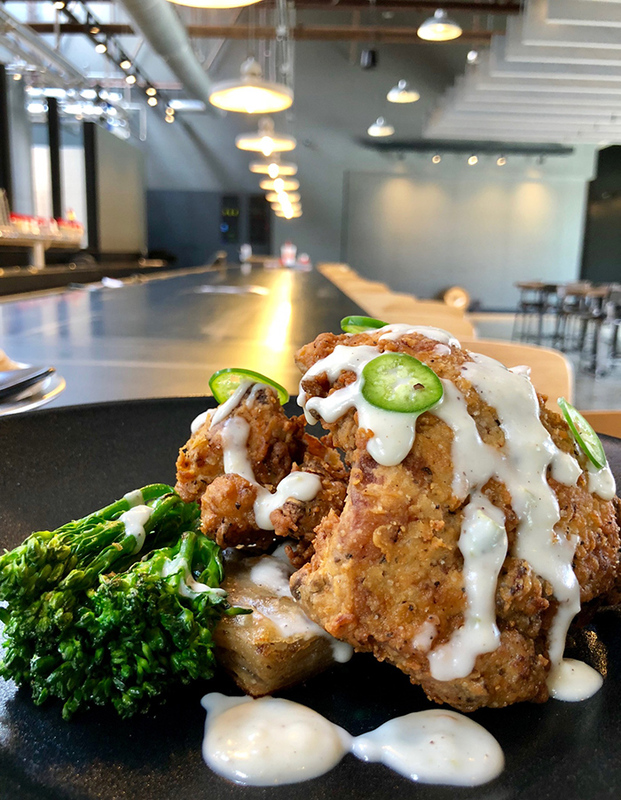 Legion has a major restaurant operation in the works for its second location coming to SouthPark but the Plaza Midwood original is holding it down for now with its own expanded kitchen and a Carolina-inspired menu. Must try: The Juicy Jay Southern banh mi ($8) made with Asian pork marinated in Juicy Jay and topped with pickled veggies, cilantro, jalapeno, cucumber and aioli. Food made with beer: Several things. The queso fundido ($8) is made with Dos Amigos, the Southern banh mi ($8) features Asian pork marinated in Juicy Jay and the NC boiled peanuts ($3) are boiled in Freedom Park Pale Ale. Pro tip: Stop by for brunch 10a-2p every Saturday and Sunday. Pro tip: When they say “mini” flatbread they really mean it. 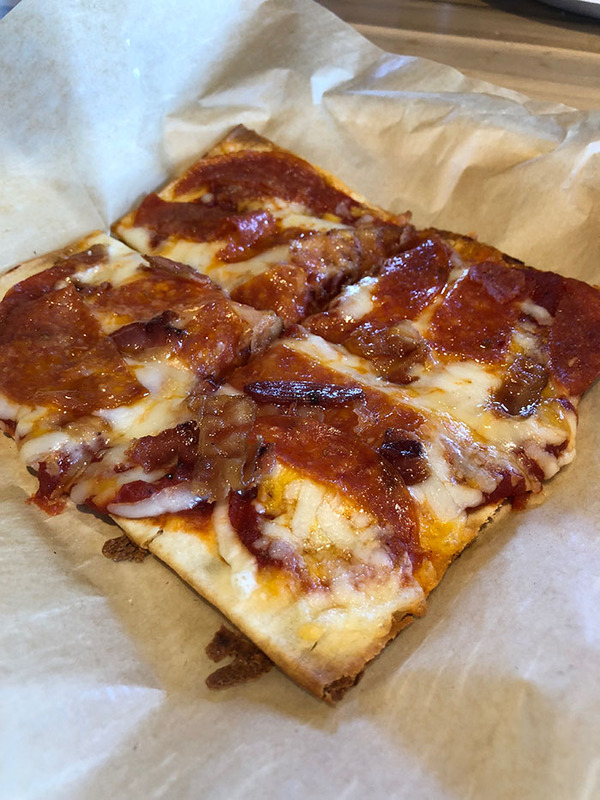 It’s a very small, light bite on a cracker-thin crust that works if you just want a little snack with your beer. If you’re expecting more, you’ve been warned. 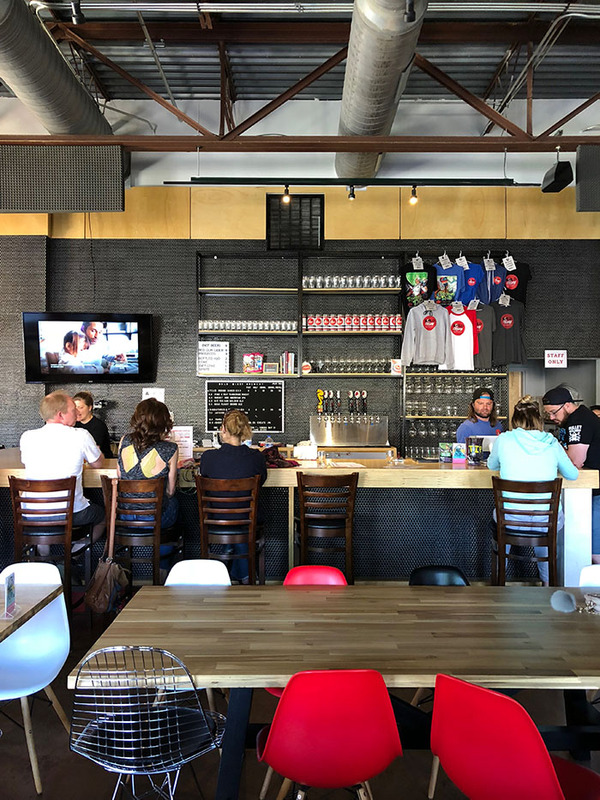 Right next door to Rhino Market, Town Brewing Company is housed in a roughly 11,000-square-foot space that has played home to an auto garage and industrial equipment supplier. 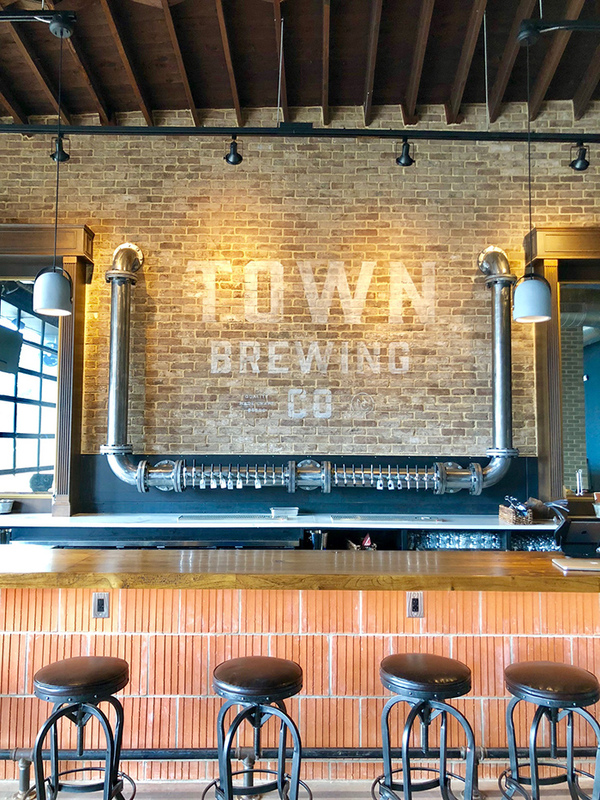 Their goal is to make the brewery’s intimate 24-tap taproom feel less like a warehouse and more like a living room and almost Cheers-esque environment. 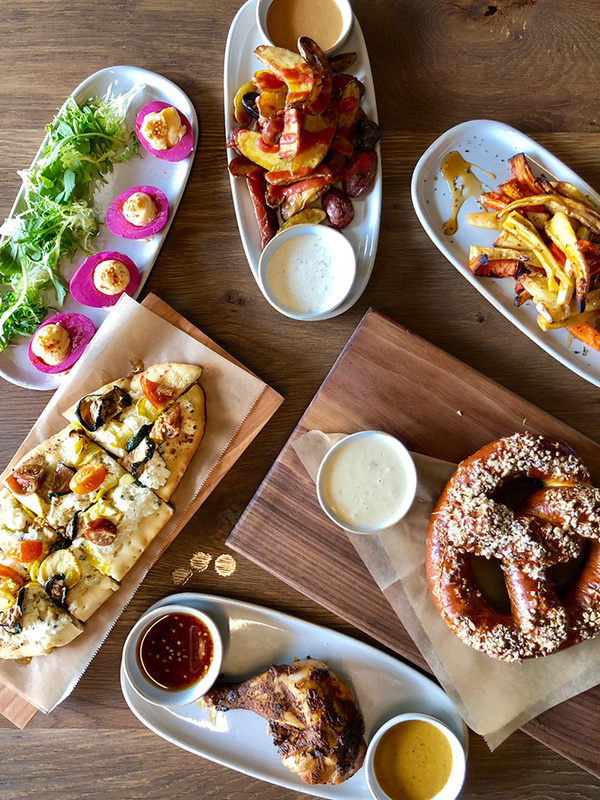 Must try: Go with the veggie flatbread, smoked 1/4 chicken or their signature pretzel with malt salt and both IPA mustard and beer cheese for dipping. 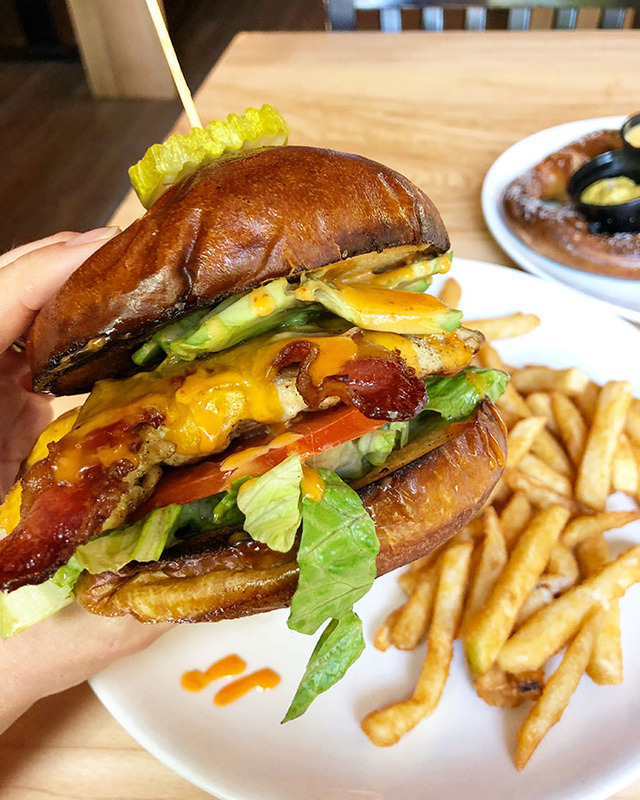 Dietary restrictions: You’ll find a number of vegan and vegetarian options (clearly labeled on the menu) including the farmer greens salad, flatbreads and pimento cheese toast. 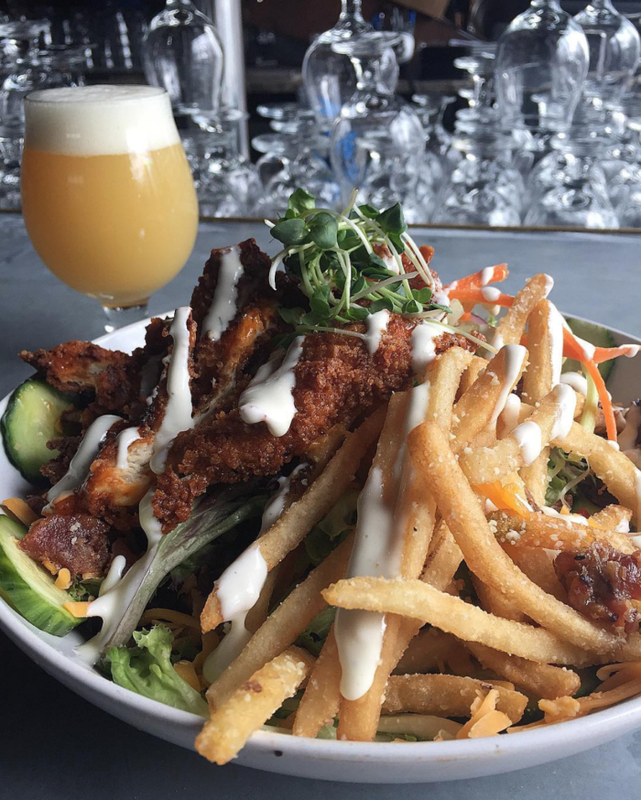 You won’t go hungry at Charlotte’s other breweries either. 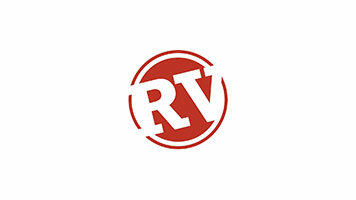 Some have partnerships with nearby restaurants for taproom delivery (Resident Culture works with Pure Pizza, Salud is currently working with Sabor and Three Spirits works with Old Pineville Premium Pub, Toppers Pizza, Librettos and Arepas Grill) and most have rotating food truck schedules. NoDa Brewing has Tin Kitchen on site daily, Triple C features Bleu Barn Bistro Tuesday – Friday and New Wrap Order on Saturdays, Lenny Boy features The Hunter’s Wife Tuesday – Sunday, Birdsong has a different truck on site most days of the week and Sycamore hosts Food Truck Friday South End weekly. 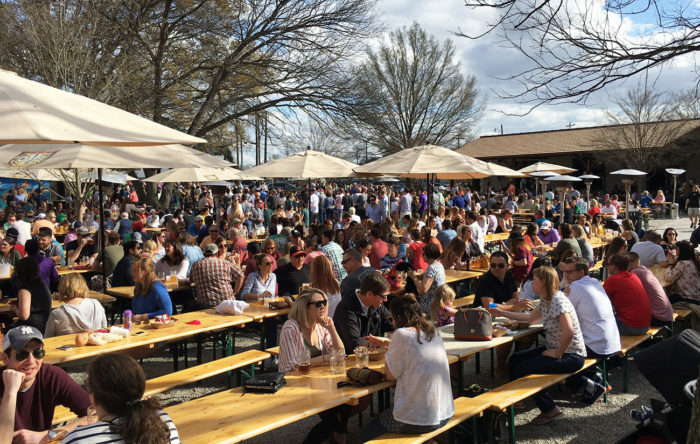 See our list and map of all Charlotte breweries and check individual locations for updated food truck information.